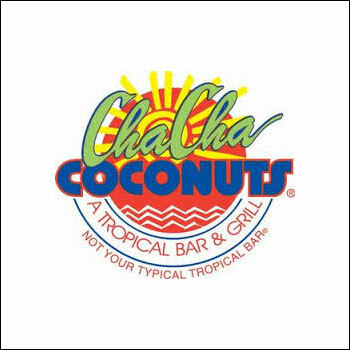 Join us at Cha Cha Coconuts and lose yourself in our carefree island atmosphere. Casual dining with a tropical twist, offering a savory selection of seafood, sandwiches and other island-style fare.Relax in our dining room or enjoy an outdoor table while sipping on one of our refreshing tropical drinks and sampling from our casual Caribbean menu. Favorites include Coconut Shrimp, Fish Tacos and Half-pound Burgers. Open daily for lunch and dinner with a Children’s menu available. Live entertainment on the weekends!